Shareability. Yes, that’s a word now. Certain posts encourage people to share them. Some even transgress into “sharebait,” an evolution of “clickbait.” Instead of being enticed to click, we’re compelled to share, perhaps without even looking at the actual article we're sharing. So what makes for high shareability? What encourages us to repost or retweet something we come across in our endless scrolls of social media? Adriana Manago is a professor of psychology at UC Santa Cruz, and she thinks shareability is often rooted in the emotional rather than the factual realm. Emotional headlines and pictures get a reaction. You can also use them to craft your online persona, your digital identity. Manago said sharing a post is often not about the information. It's about what the content signifies about the person who posted it. It’s about trying to show that you are smart or woke or have certain values. It's “virtue signaling” or “impression management,” to use the psychological terms. “This is what we are doing online,” Manago said. “We are constructing our brands. We are aware that people are watching us, and when we engage in public displays of information and self-expression, we’re doing so because we want to construct an identity online partially." If you are on social media, chances are that you, too, have shared a post without clicking the link or reading the actual article. Studies and experiments by news organizations have shown that this is pretty common on Twitter, Facebook and Reddit, where people up or down vote links to things they haven’t read. This can be bad news for even the very best journalism. Carly Severn is KQED’s senior social media strategist. Manago said unread news becomes fodder for our social media echo chambers. And while it came to light during the 2016 presidential election, Manago believes it is bound to ramp up again during the upcoming midterm elections. 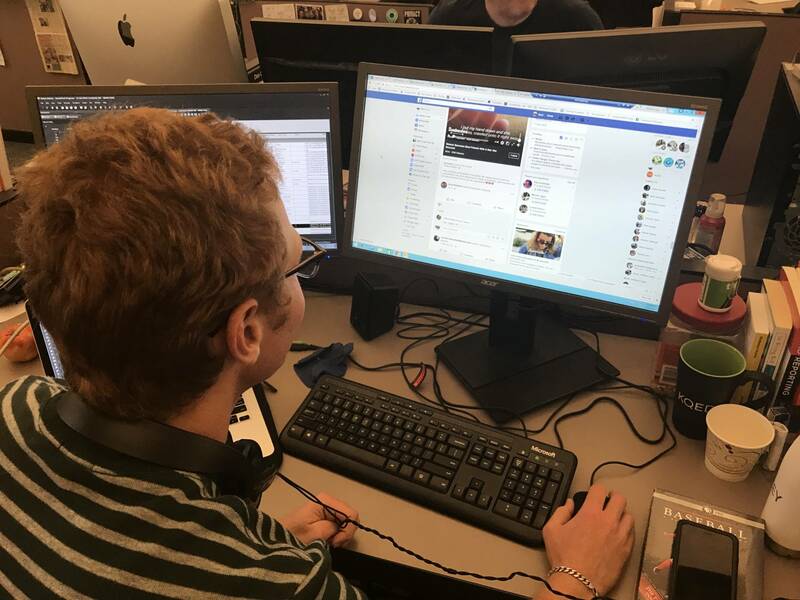 Social media strategists are now common in newsrooms. The job requires one to try to balance journalistic integrity with “engagement” — clicks, shares and reads. Getting people to engage on Facebook or Twitter is no easy task. Severn said even reputable news organizations end up contributing to the mess. Two big pitfalls Severn said she sees all the time are posts that seem to tell the whole story, and ones crafted to have a simple, emotionally charged message. Both encourage sharing without reading. If people share and don’t read, it means the social media posts, not the actual stories, become the news content. This is counterintuitive if you care about complex, nuanced journalism. This is part of why people say websites like Facebook and Twitter are not just “platforms,” they’re media companies. Benjamin Decker researches media manipulation and disinformation at Harvard Kennedy School's Shorenstein Center on Media, Politics and Public Policy. Facebook declined to comment on how it affects news or what it is doing about this issue. Twitter did not respond to a request for comment. Both companies have repeatedly denied being in the publishing business, casting themselves instead as neutral platforms where people can share content. As recently as the hearings before Congress, Facebook CEO Mark Zuckerberg denied that he is running a media organization. But Facebook is now where a lot of people get their news, especially if they aren't clicking through to the articles actually produced by news organizations. “There needs to be a conversation amongst newsrooms to understand separating themselves from the platform,” Decker said. 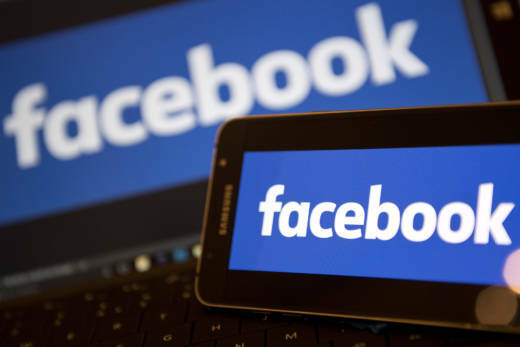 The bite-size news snack on Facebook and Twitter have big ramifications, said Joe Tuman, professor and chair of the department of communications at San Francisco State University. Tuman said what is really pernicious is that we’re being conditioned to want this shortened content by the format of social media — the scrollable, endless stream of posts all competing for our attention. Facebook and Twitter are not only feeding our desires, but shaping them. “We sort of become programmed by the technology that was supposedly programmed for us,” Tuman said. The more we eat the snackable content served up on social media, Tuman said, the more we crave it.